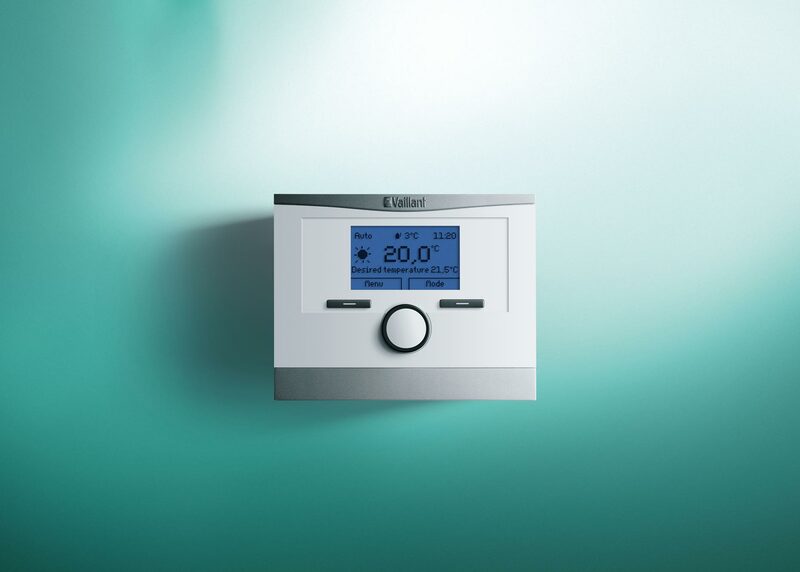 The calorMATIC 450 / 450f is destined for the weather-guided control of your heating and hot water system. 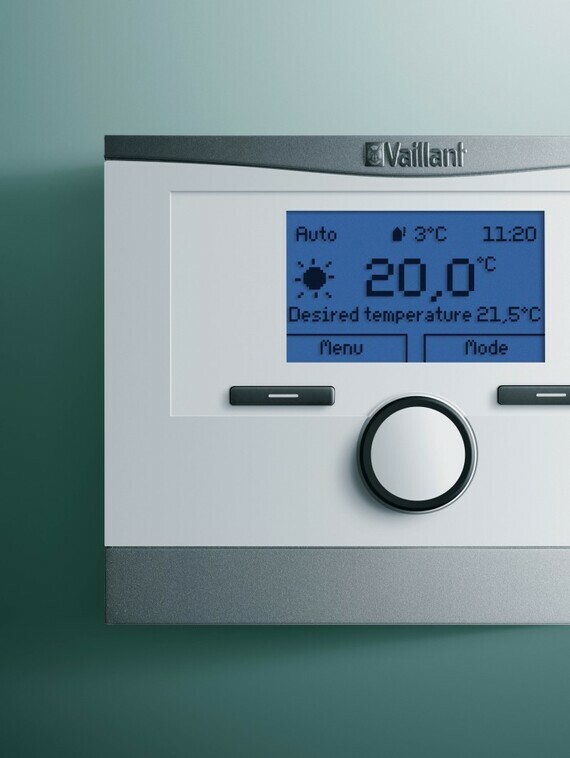 Via the external sensor the control observes the outer temperature and makes automatically the required settings to keep the system running keeping the desired temperatures in your rooms and for your hot water. 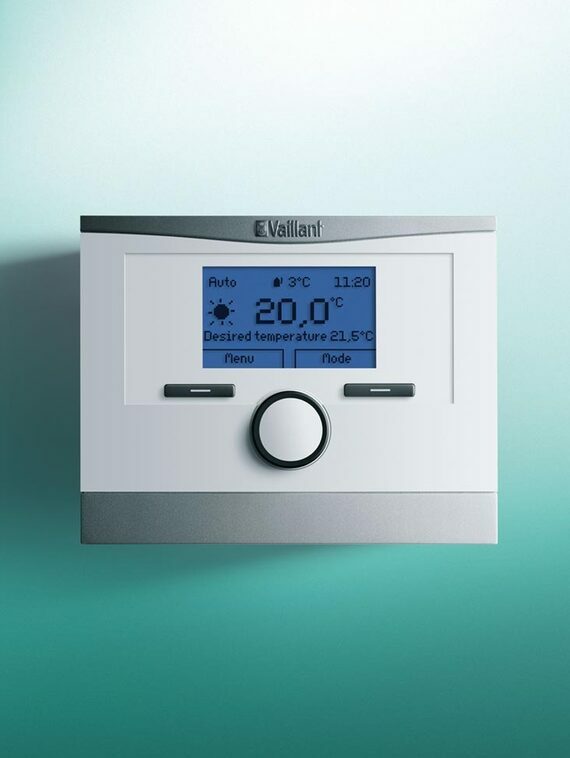 You can set different temperatures for different days of the week – as per your personal requirements and habits – for the heating and the hot water circuits. Via the ergonomic knob and the blue-backlighted display the setting is simple. The remote unit (calorMATIC 450f) can f.ex. 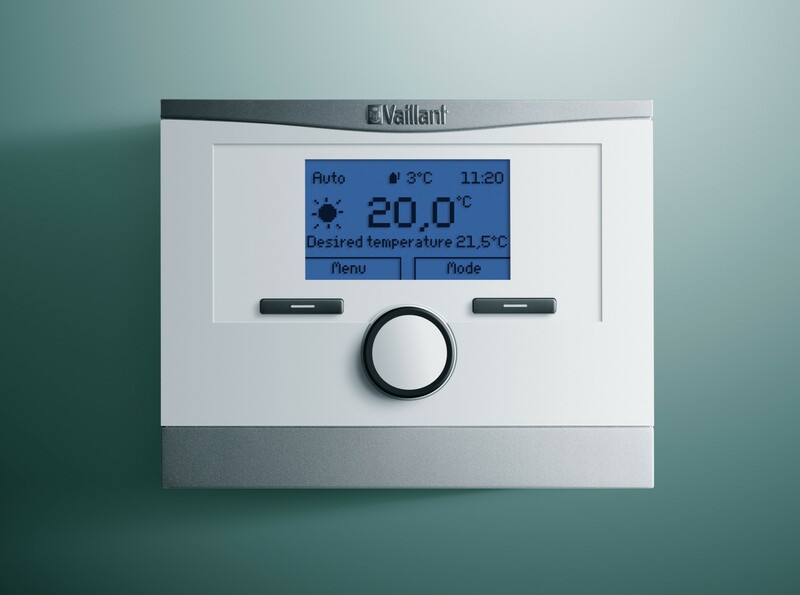 be put into the user interface of our Vaillant ecoTEC plus condensing heating appliance or be in your living area.